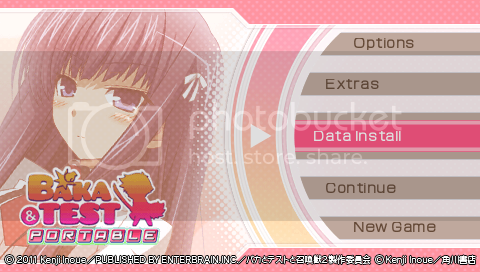 Back in August, I began work on creating an English Translation patch for Baka to Test to Shoukanjuu Portable, and the project has reached the point where we can now modify the script and images. I have extracted the entire script, and am looking for a few translators to assist me in translating the game's script files. Though I'm currently involved in Japanese studies, my skills are not at the level necessary for a decent dialogue translation. If anyone can assist me in translating these scripts, I would be eternally grateful. Though it is not a dealbreaker have you any plans towards editing that font in the middle picture? I assume you're talking about the 2nd picture, yes? 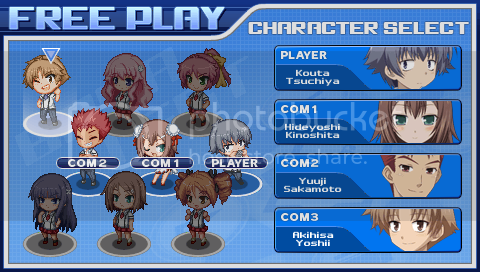 At the moment, we're stuck using full-width characters, but progress has been made in adjusting the character spacing. 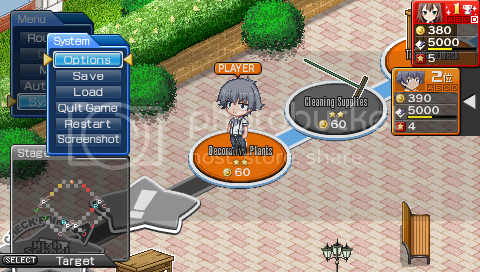 That picture is not how it will look in the final version, but rather was to show that we've already figured out how to insert text into the game, meaning that any help we get with translation would not be going to waste. Do you recall seeing any princess in the introduction scene? If not then i would probably persume Himeji Mizuki (姫路瑞希) is the person's name correct? As a rule, I don't work on games that were developed more recently than around 10 years ago. I do this out of respect for the companies that make the games and the people and companies that localize them officially. I only speak for myself, but I think you'll find the community here to be of similar mind. 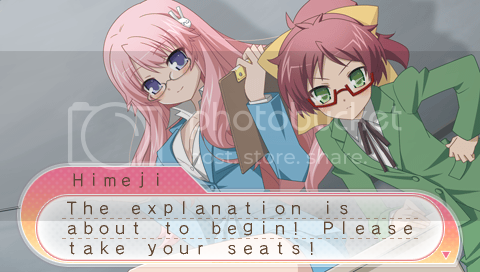 The character's name is indeed Himeji Mizuki, and she is the pink-haired girl in the picture above. I understand where you are coming from, and agree that the companies should be respected. After all, without them, we wouldn't be able to play such great games. However, because it is unlikely that this game would ever be localized officially, I felt that a translation project would be apt. The reason why this game would be unlikely to be localized is that it is a PSP game, and the PSP is already pretty much dead in the western market. A Vita port would be unlikely, because the game just wasn't that popular. In addition, the series never gained a lot of popularity in the west, with none of the light novels or manga being officially licensed; only the anime received such a privilege. As a result, there aren't a whole lot of devoted fans to the series, and even fewer know that it got a video game. If an official English release would ever be made, I would cease work on this translation project; my main goal is for fans of the series to be able to enjoy the game in English. I respect the company that made this game, and it's because, not in spite of that that I do what I do. I feel that this game is good enough that English-speaking fans should be able to experience the beautiful product that stemmed from their hard work. I hope that you can understand my viewpoint, and that anyone who reads this may consider helping me in my endeavor to share this product with the world.